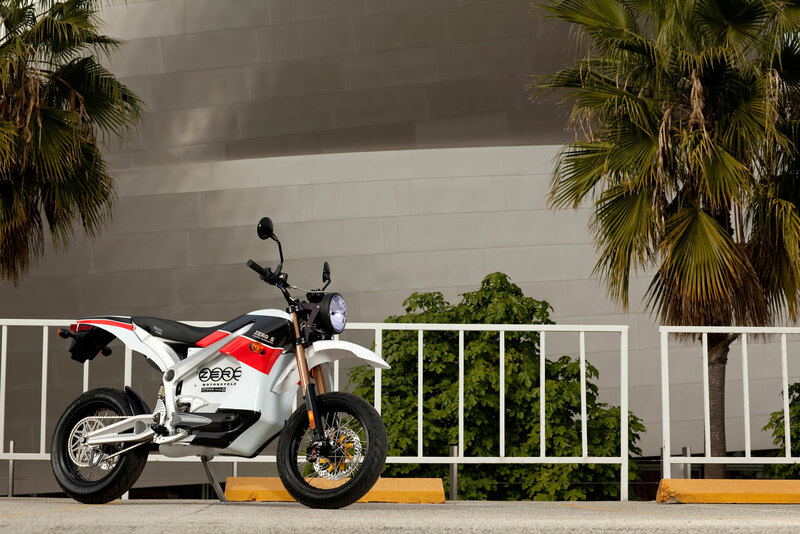 Developed to aggressively take on urban environments and encourage the occasional detour, the Zero S integrates revolutionary technology with innovative motorcycle design. Using Zero Motorcycles’ proprietary Z-Force power pack and aircraft grade alloy frame, the Zero S features an industry leading power-to-weight ratio that increases its range and maneuverability. 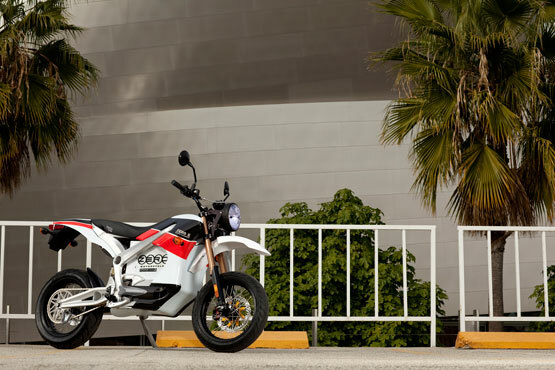 Instant acceleration and a lightweight design enable the Zero S to take on any city street, hill or obstacle. 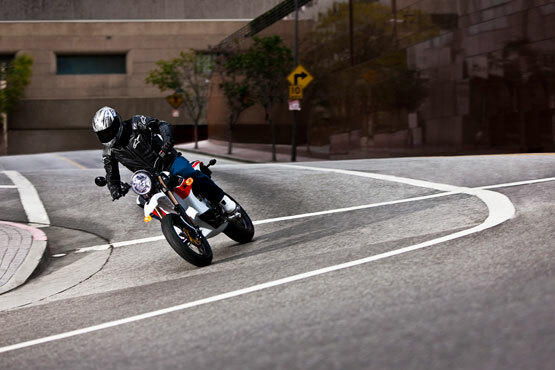 Whether accelerating onto the highway or out of the turns, the Zero S is designed for performance. Aircraft grade aluminum is exclusively used in the construction of the lightweight and rigid Zero S twin spar frame. One look at the frame and it speaks for itself. It is aggressive, strong and one of the main reasons that the Zero S can take on anything in an urban environment. Designed to have a low center of gravity, the Zero S is highly maneuverable and responsive. The body is completed using custom injected molded plastics to give it aerodynamics and aggressive supermoto styling. Years of development and proprietary Z-Force™ technology make the Zero S a leader in acceleration, range and longevity. Using an advanced monitoring system, each cell in the power pack is individually controlled during charge and discharge. The onboard charger integrates into this system and uses a specially developed charge profile to optimize the power pack’s recharge time. 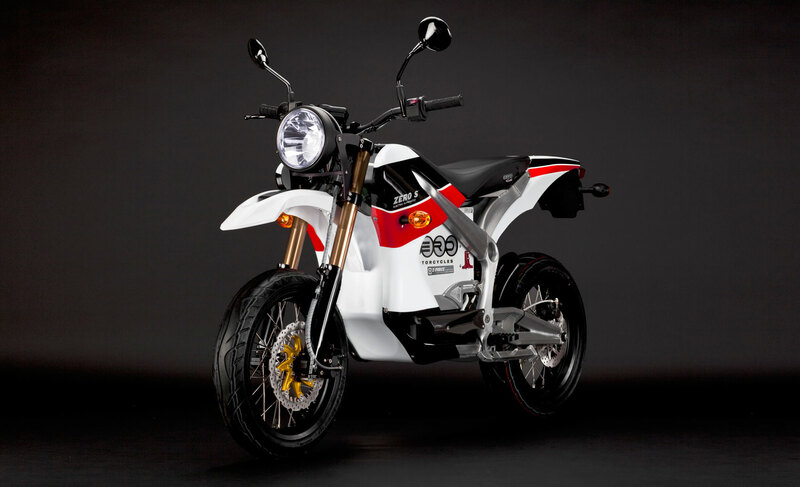 Using isolated power systems the Zero S uses a standard 12 volt current to run the dash, lighting and other on board accessories. A compact and powerful motor drives the Zero S. The new Z-Force Air Induction system allows the Zero S to output more power from the motor by efficiently moving air through its core. Mounted low on the frame to increase maneuverability, the highly efficient motor lowers the center of gravity while providing high torque and acceleration. The Zero S wheels are engineered to minimize unsprung weight and reduce rotating mass. Designed specifically for the Zero S, the lightweight construction includes custom hubs, spokes, and rotors. To maximize overall wheel strength the hub is configured to use straight pull spokes. The resulting wheel is lighter, stronger and more responsive. The suspension on the Zero S was developed by Zero to take advantage of the motorcycles’ lightweight design. Its inverted front fork is among the lightest in the industry and can be externally adjusted to dial in compression and rebound damping. A rigid double diamond rear swing arm keeps the wheel planted using a custom rear shock with a fully adjustable spring preload and easily tuned damping. The dash is designed by Zero to quickly and accurately provide information on speed, charge and motor temperature. 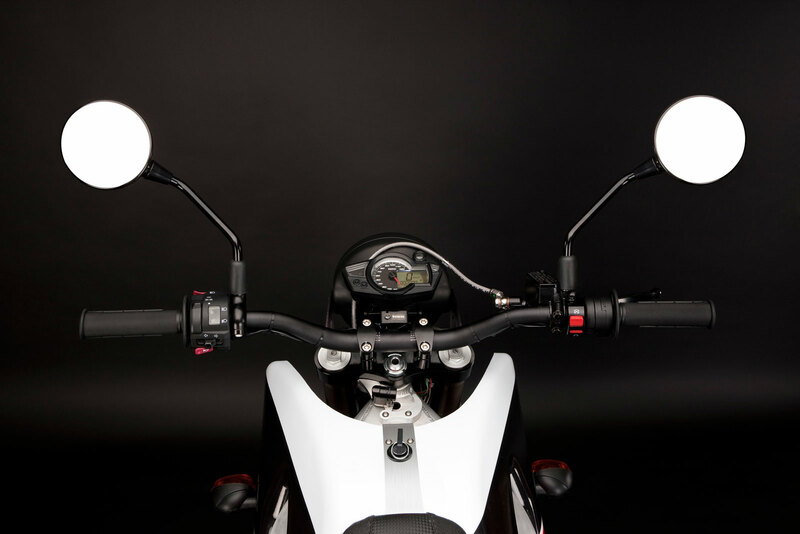 In the evening the dash lights up with the flip of a switch and is accompanied by a high intensity headlight. 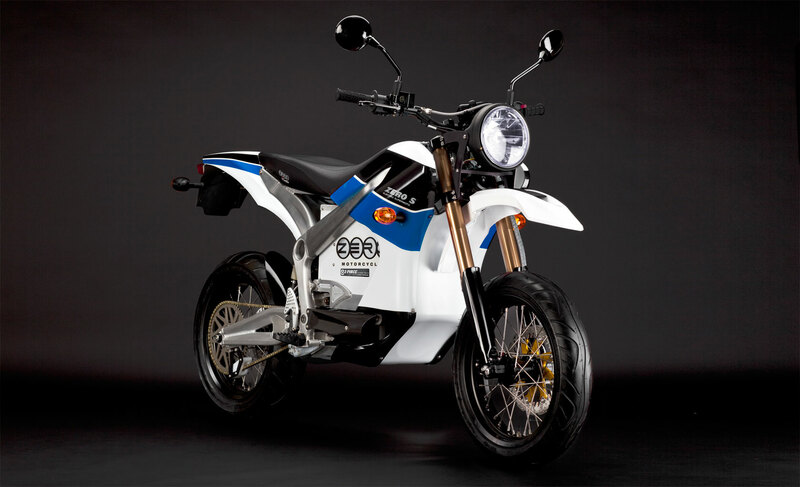 A clutchless one speed, the Zero S is geared for rapid acceleration and increased efficiency. 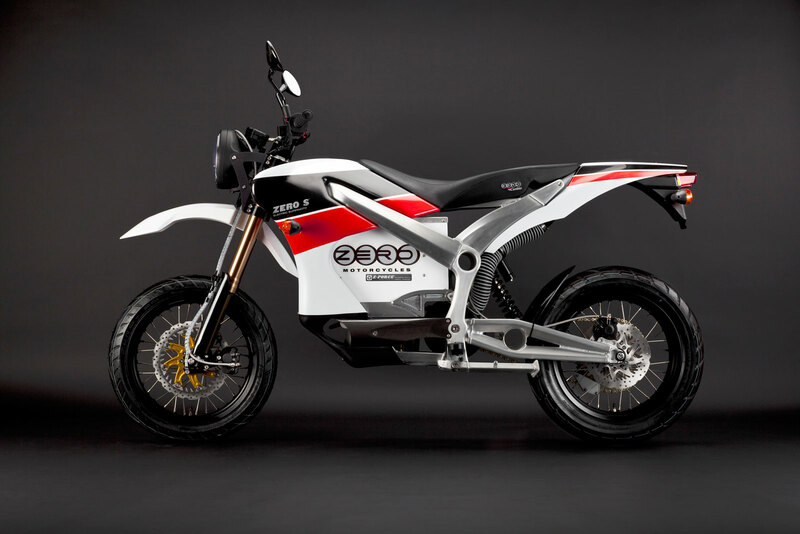 Using a direct chain drive and hardened alloy sprockets the Zero S is able to achieve minimal frictional loss. This increases the overall range and channels power into speed. The Zero S is eligible for the recently passed 10% federal tax credit. 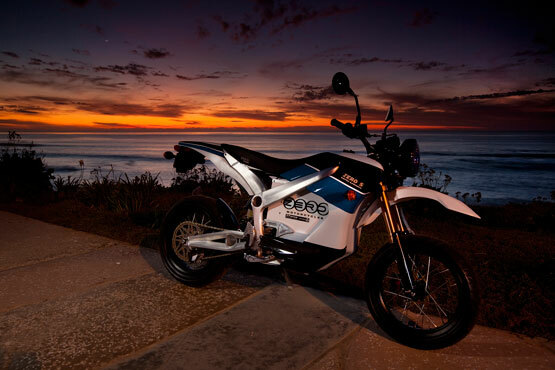 This effectively reduces the purchase price of your motorcycle by $1000 and reduces the total cost to around $8,995.